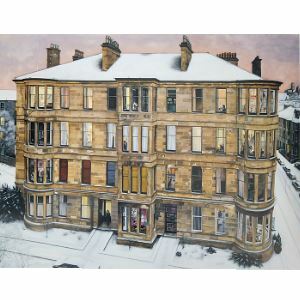 Avril Paton's 'Windows in the West' available as a large 53x44cm print. This stunning reproduction is printed with exceptional detail and on art quality paper. The original painting is on display at the Kelvingrove Art Gallery and Museum.